If you have any questions or want to enquire about dates, use our form to contact Fausta Occhipinti or see their website for more information. Find happiness in homemade jams at breakfast (fig, tangerine, orange), aubergine Parmigiana at dinner (creamy, delicious) and beautiful wine; the family’s wines are spicy, citrusy, organic and sold by Ottolenghi. 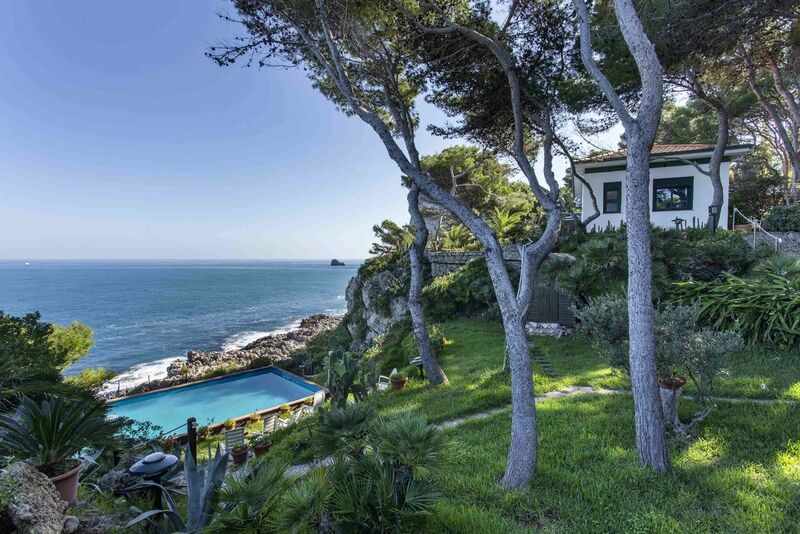 Rosaura comes from an old Palermo family, Bruno may entertain you with his oenophilic stories, and daughter Fausta, a landscape architect, greets you warmly; they are an adorable family. Here, in the oldest wine area in the world, is their low, handsome 1800s winery – views to Etna on one side, the sea on the other – surrounded by a young garden of olive and wild almond trees. Inside: white minimalist living spaces where big lounging sofas, family antiques, art books and prints mix with open stone walls, pale terracotta tiles and a wonderful rustic stone fireplace. Bedrooms – two at ground level, two in the loft – are soothingly, spartanly white; wild flowers spill out of jugs and there’s a bath tub with a view. Visit the baroque town of Vittoria, eat well in Scoglitti, set off for the sea, return for a lap in the salt-purified pool. Marvellous. Singles £75. Dinner, B&B £40 per person. Extra bed/sofabed available £24 per person per night. In this quiet, rural location in south-east Sicily, Fausta Ochhipinti has created a relaxing and peaceful setting for her guests. 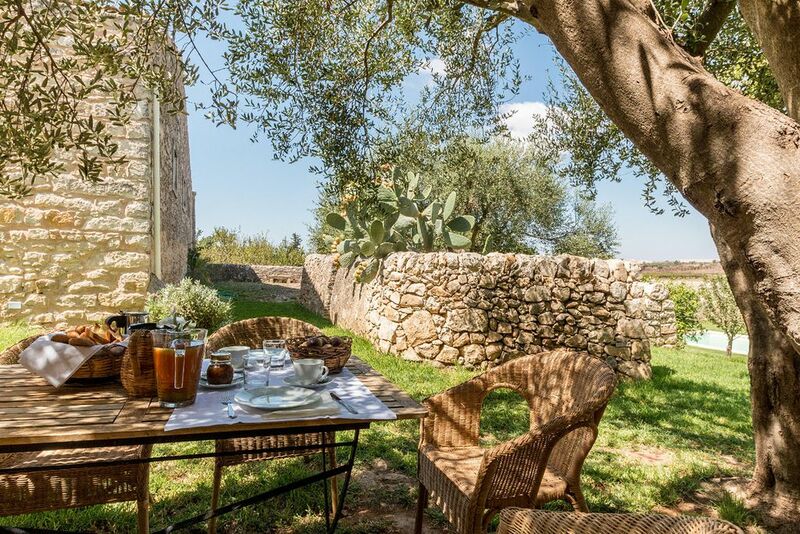 The main part of the traditional stone house, once a working winery, offers a stylish and comfortable place to idle away an hour with a glass of regional wine before Fausta serves dinner, a social and communal event beneath the stars and olive trees! Food is prepared lovingly from family recipes, with organic vegetables sourced directly from Fausta's garden. Leaving Bagglio Occhipinti was difficult - almost like leaving a dear friend! - but one can always return! We are in the middle of the oldest wine road in the world! Enjoy a wine tasting tour around the vineyards of the most authentic natural wine producer of the region like Azienda Agricola Occhipinti, Cos, Antica Tenuta del Nanfro. Ideal for wine lovers! Baglio Occhipinti is in the middle of the six UNESCO heritage sites in Sicily: Villa Romana del Casale, the late Baroque Towns of the Val di Noto (Ragusa Ibla, Modica, Scicli, Caltagirone, Palazzolo, Noto, Catania), Agrigento, Syracuse and Pantalica. Have a romantic walk in Puntasecca, the charming fisherman village that features in the Inspector Montalbano novels. 20 minute drive. The fish market in Scoglitti, with its explosion of colors, smells and sounds, takes place every day at 11 in the morning and 4 in the evening, and its only a 15 minute drive away. Everything handmade is our passion! Let's have a tour of the kitchen garden together and prepare a meal based on authentic family recipes, or make natural soap with our organic olive oil.